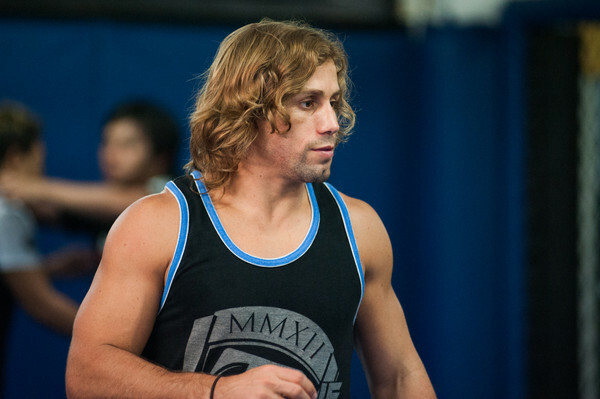 One of the premier “little guys” on the face of the earth, Uriah Faber will go down as one of the greatest fighters of all time, as well as one of the sport’s greatest pioneers. However, in his UFC tenure, it seems his chance under the brightest lights came at the wrong time. Once a dominant champion with wins over the who’s who of the 45 and 35 pounds weight classes, ‘The California Kid’ met all-time greats Jose Aldo and Domenic Cruz as the two entered their prime. As a result, Faber has gone 0-5 in his five UFC title chances. While he is likely among the greatest UFC fighters to never hold a belt, his record will sadly be forever asterisked as a man who was unable to win when the chances finally came on the world stage. However, after his latest drubbing at the hands of hated rival Domenic Cruz, Faber has decided its not quite time to close up shop on his career just yet. Instead he will be accepting only big money superfights. This is likely to ensure his protégé Cody “No Love” Gambrandt gets his unchallenged chance at the top of the heat, provided he beats seasoned veteran Takeya Mizugaki in Cleavland at UFC 203. For the aging trailblazer, where will his next fights come? Who are his options? For one, a superfight with another lighter-weight pioneer might make the most sense for both parties. 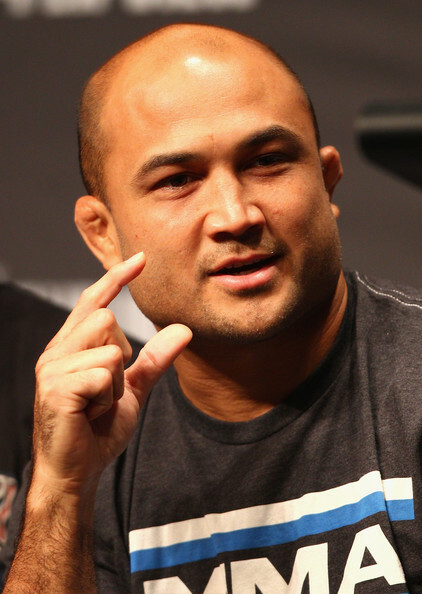 BJ Penn was recently forced to pull out of the UFC 199 bout with Cole Miller as a result of violating the UFC’s new IV ban, but he claims to be revitalized and reinvigorated by the maestro of Greg Jackson, and his time spent training with Anthony Pettis, Donald Cerrone and Carlos Condit at the world renowned Jackson-Winklejohn camp in Albequere New Mexico. As Faber and his band of killers at Team Alpha Male continue to train, they’ll need their fearless leader to keep their team on the map as the next generation of ‘Alpha Males’ come of age in the sport their founder helped put on the map. From a size perspective, Faber will likely give up some size to the Hawaiian legend Penn, but his past fights at ’45 have proven that Faber’s power translates quite well with a lighter weight cut. His chain wrestling and submission attack would make for an intriguing potential submission fight between the first American to ever win gold at the world BJJ championship in Penn, and the standout collegiate wrestler and coach in Faber. Additionally, while Faber has certainly lost a step, he still possesses remarkably fast hands and level changes. This matches up well against Penn, a fighter the famed boxing trainer Freddy Roach (trainer of Miguel Cotto and Manny Pacquiao) called the “best boxer in MMA”. Additionally, Faber could stand a solid test for potential title challenger Bryan Caraway, husband of women’s Bantamweight champion Meisha Tate, who is vying for a title shot before Faber protégé Cody Gambrandt. A win over Faber would likely give Caraway unquestioned rights to the title shot, while a loss would prove Carway was likely not ready for the destroyer that is Domenic Cruz. Either way, Faber is done as a serious title contender, but is still more than capable of providing excellent fights to start off Main Card PPV’s or headline Prelims. He is a legend and a pioneer in a sport that just exploded after his athletic prime. It was an honor to see the California Kid in his A-day, and when “California Love” hits the radio, I’ll always think of Sacramento’s finest.